Version 3.12 of the client can be downloaded from the website. This version includes some updates to the connection and login system and may fix some problems that some people were having. Note that this update is not required for Day of the Dead Abiogenesis tonight. Does it help with lag issues? Otherwise I'll skip it, because I refuse to buy WinZip and have to re-download the trial everytime I install an update. Go look up a program called 7-zip. It's free. If it does, it's a coincidence. I use Filzip. Also free. Yay updates! But it still doesn't work for me. This is what I see when I log in now. Loads all their pictograms, but they just meld from the left into mine. It is connecting more reliably, but I still can't see no deers. D: Except sometimes. Anyway yes. This might be the point where all the application issues are fixed and it's just my ISP interference that messes with it anymore. Thanks for the tip! This really helps figure things out. It's just a test to check some variables. Could you try it and post if it makes a difference? Pressing them showed the magenta text in the corner, but did nothing noticeable. Running around and pressing it a bunch of times (don't know what it does) my connection eventually found the location and fashion of a few deer, but their symbols still looked jumbled and they were completely stationary. It does that without pressing the key combination anyway, so, that's pretty much as far as I was getting before. Here is a screenshot: [click] Been getting the faint purple symbols since last version too. Figured they meant something normal, but never knew for sure. 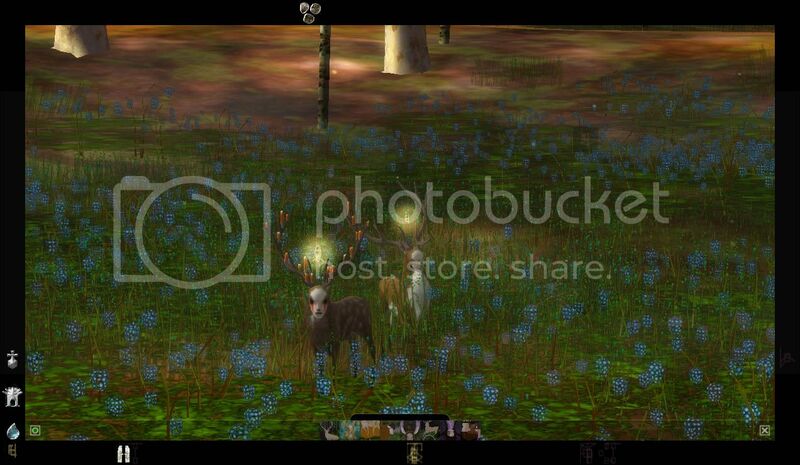 Joined: 29 Jul 2007 Posts: 200 Location: in ur trees, scarin ur fawns. If I might be so bold as to make a guess about the permanent magic on fawn, I think it's something still left-over from the festival time (which was yesterday and the day before). During the festival, fawns could keep magic on them so they could dress-up to celebrate. Aww, take your time in reverting the temp magic back on the fawns.... It makes receiving "items" much more enjoyable.